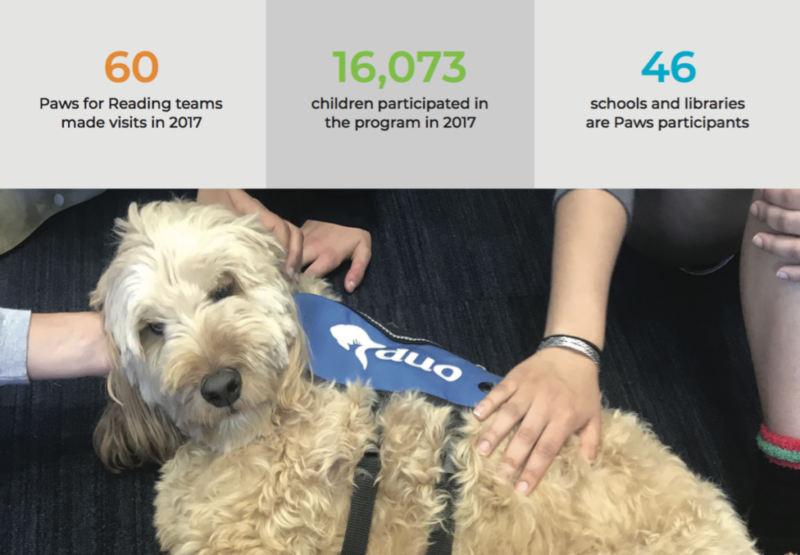 Duo's Paws for Reading program trains volunteers and their own dogs to be part of classroom and library settings throughout the St. Louis metropolitan area. They provide incentive for children to practice reading through accepting and nonjudgmental listeners: dogs. The children read from Duo-supplied books that they can keep for their personal libraries. 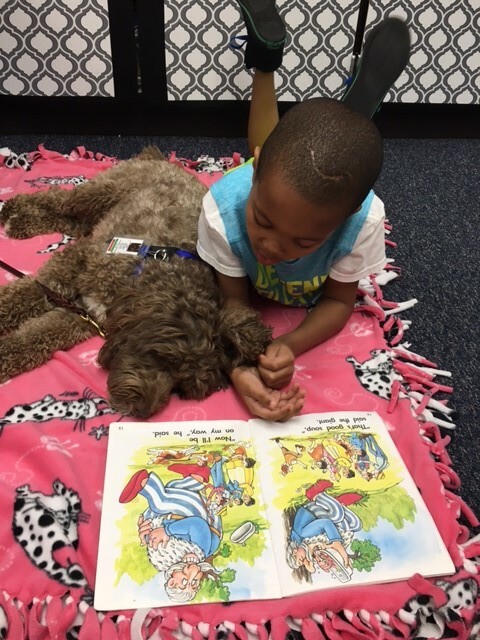 And with a dog's encouragement and calming presence, young readers improve their focus, word recognition, and reading comprehension without feeling anxious. Please contact Duo if you're interested in having the Paws for Reading program at your school or library.